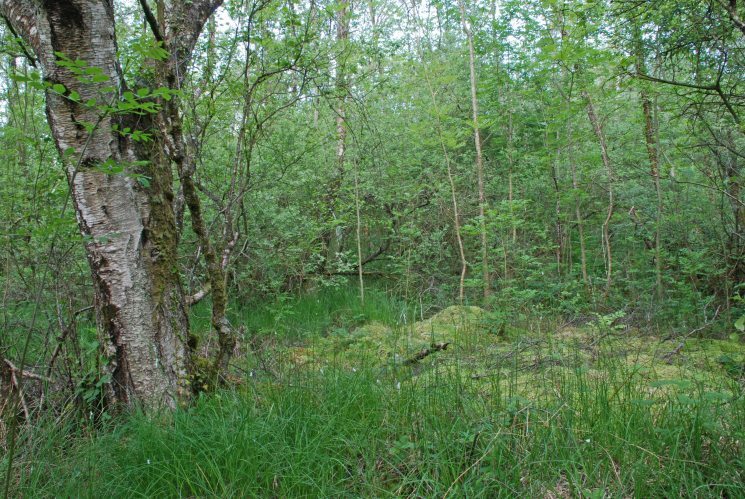 The priority bog woodland at Aghnaguig is the smallest of the project sites. 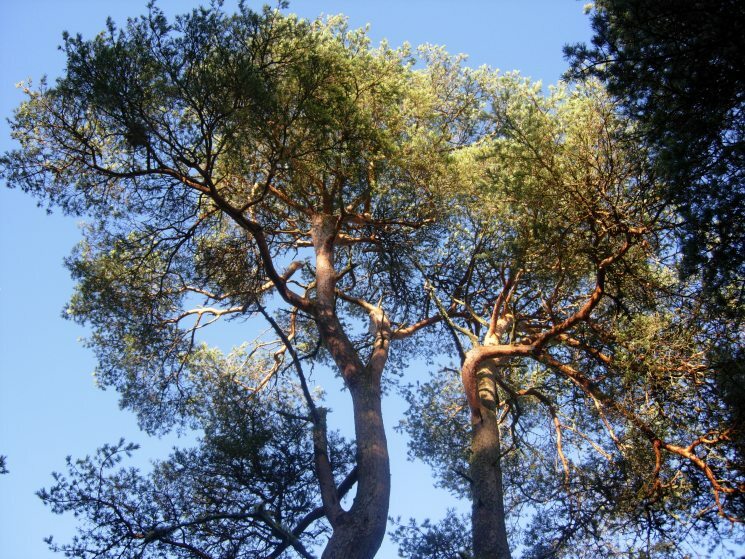 It is one of the rarest types of woodland in the country. It is located adjacent to the N3 road between Belturbet and Butlersbridge. It lies within the lowland drumlin belt of north west Cavan and comprises mainly marsh fen peat with a small area of ombrotrophic peat. 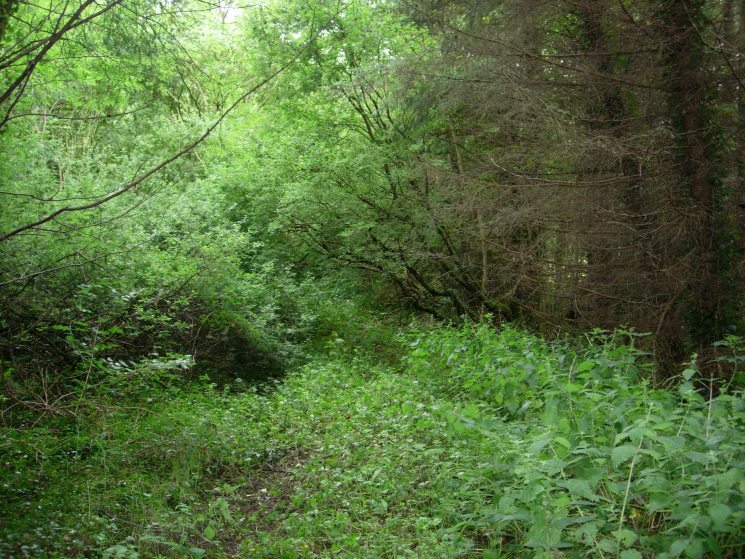 A central core of birch and willow dominate the habitat and this is surrounded by fen carr woodland and grassland. The highest ground has been drained and planted with Sitka spruce. 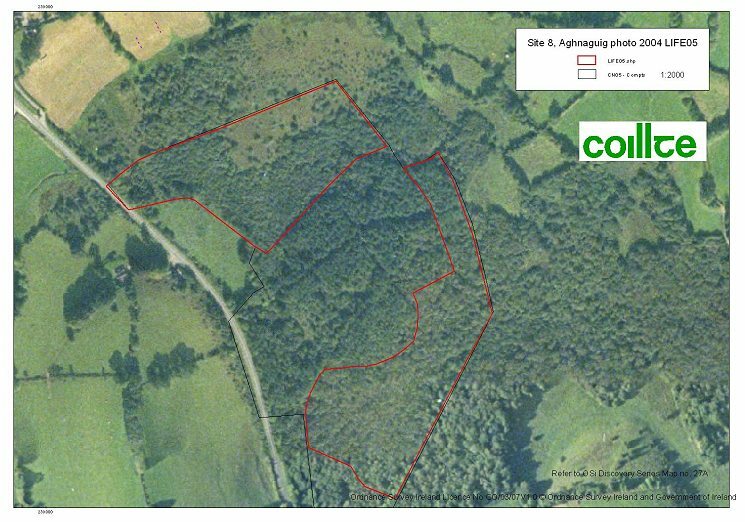 The bog woodland priority habitat is situated within the southern part of the project site, and it has been suggested by a member of the project management group that the present vegetation represents "the very early stages in the formation of a raised bog". 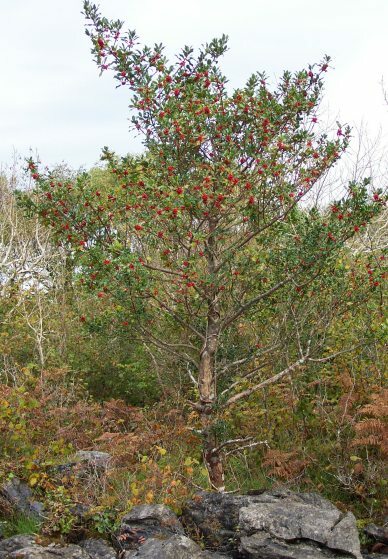 Complex hydrological reactions occur between the bog woodland and surrounding wetland habitats, hence the preservation of the bog woodland is linked to the conservation of the hydrological processes in the surrounding carr woodland. The bog woodland has some birch with sphagnum and contains the following species: bent grass (Agrostis canina), downy birch (Betula pubescens), sedges (Carex curta, C. echinata, C. rostrata, C. nigra), purple moor grass (Molina caerulea) and Sphagnum spp (Sphagnum palusre, S. capillifolium, S. squarrosum and S. teres). Ling heather (Calluna vulgaris) occurs on some of the hummocks. Patches of the willowherb (Epilobium obscurum), creeping bent grass (Agrostis stolonifera) and Yorkshire fog (Holcus lanatus) also occur between the hummocks. A rare species of wintergreen (Pyrola media) was sighted within the bog woodland, but this needs to be confirmed. Ash regeneration is occurring in places but there is very little in the central part and this fact would tend to confirm the very early stages of bog formation in this central area. The restoration techniques and main works will concentrate on removal of the non-native conifers and sycamore species. This will allow for natural regeneration of native plant and tree species and minimise disruption to the sites natural hydrology. 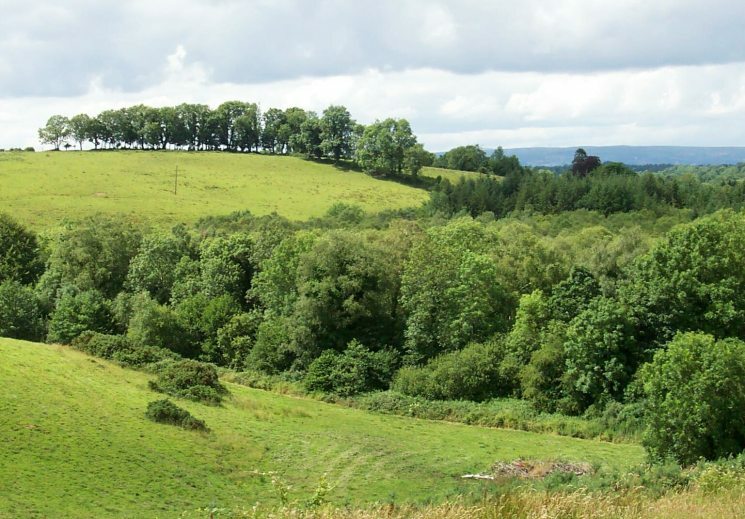 Artificial drainage on the site will be managed in order to restore the natural hydrological regime of bog woodland habitat, as far as possible.